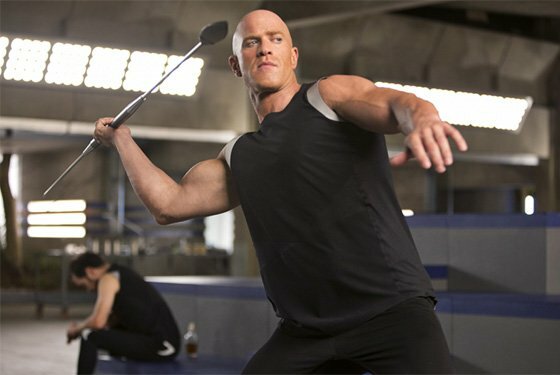 In order to bring his very best body to his role in The Hunger Games: Catching Fire, Bruno Gunn trained, ate, and supped like a pro. Learn the details right here! Bruno Gunn&apos;s history in the television and film industry is extensive. Gunn&apos;s roles come in the form of prison guards, cops, detectives, various "bad guys," and other intimidating men of that ilk. Gunn&apos;s muscular 6-foot, 181-pound body is undoubtedly a factor in his earning a spot in so many credits. Some might call it type-casting, but Gunn has embraced his characters and performed them well. By the looks of his consistent lineup of roles, it seems that Hollywood has embraced him back. 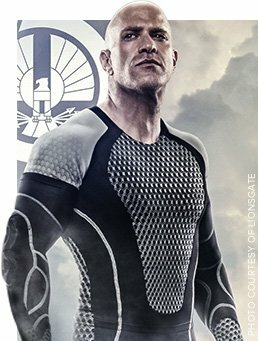 Gunn was given the opportunity to demonstrate his acting chops in front of millions of screaming fans in the second installment of the epic "Hunger Games" series, "Catching Fire." Arguably his biggest role, Gunn was cast as the blood-thirsty Brutus, the ultimate warrior antagonist. Gunn took his body to a new level for this role. Through a tough training regimen and carb-cycling diet, Gunn put on 15 pounds of muscle while dropping his body fat to 10 percent. His dedication to bringing his best body to "The Hunger Games: Catching Fire" caught our eye. Bodybuilding.com nabbed the details of Gunn&apos;s workout, diet, supplementation, and most important, his mindset. How long have you been training? What&apos;s your fitness been like throughout your life? I grew up as an athlete. I played football, I wrestled, and I played baseball, and I dabbled in sports in college. So, physical fitness has always been a big part of my life. I&apos;ve always maintained a good, strong physique. Since college, I&apos;ve consistently tried to put three good days in the gym per week. But like everyone, my weight would fluctuate. I&apos;d string some great months together and then I&apos;d have a few not-so-great months. It&apos;s par for the course, especially when you&apos;re not doing anything fitness-related professionally. I&apos;m not a bodybuilder or a personal trainer, but fitness is a big part of who I am. "Physical fitness has always been a big part of my life. I&apos;ve always maintained a good, strong physique." How did you get involved in Catching Fire? My trainer and I were doing deadlifts in Gold&apos;s Gym. My phone rang. I hardly ever take phone calls when I&apos;m working out, but it was my agent so I took it. After I hung up, I looked at my trainer and said, "Dude, I have to get out of here. I&apos;ve got an audition for this role in "Catching Fire," from the Hunger Games." And my trainer was like, "Dude you know what that is? Get out of here! We&apos;ll pick it up another time." So, I raced home and literally had just a few hours to put together a performance. Had you read the books before? Did you know anything about Brutus? I had not read the books before. I only knew it was a novel. That&apos;s all I had. After I auditioned, a week went by and I got a phone call. They told me that I was one of the few they were looking at seriously. I thought that was great. As an actor, I never attach myself to anything. You put your performance in and you have to feel good about what you do. Then you move on. But after I got that call, I really wanted the role. Obviously, you got the role. How did you react when you found out? The week after that first phone call, I was leaving for Rome for a family retreat. So, I&apos;m in Toronto and have about hour before my flight to Rome. My phone rings and my agent said, "Hey, what are you doing?" I was like, "Uh, racing to catch a flight to Italy." He said, "Well that&apos;s not the only thing you&apos;re catching. You&apos;re also catching the part of Brutus!" The news stopped me dead in my tracks. I hadn&apos;t shared with many people that I had auditioned for the role. Like I said, these things come and go and you never know. I broke the news to a couple of close friends, but couldn&apos;t really talk for long because I was getting on a plane. And I&apos;m sitting on a plane with life-changing news and nobody to share it with for nine hours! So I just had a little party to myself in the back. I had nine hours to plan how I was going to tell my family. It was a really magical time. What was your training like for the film? How did you prepare? I have an amazing trainer. I&apos;ll start off by saying that good trainers can change your body. Great trainers change your mind and your life. Drew Logan did that for me. We both knew it. I&apos;m a mind, body, spirit guy. Bodies vibrate and they have an energy. If my body is fit, my energy is good. And that just transcends into everything else I do. It&apos;s like that Epictetus quotation: "It takes more than just a good-looking body; you have to have the heart and soul to go with it." So, Drew and I were on the same page. That&apos;s what made the synergy great. Prior to "Catching Fire" our goal was to get me in the best shape of my life. I was at a place where I had to change something. I started with my body. As an actor, the first thing you&apos;re taught is that your body is your most important tool—it&apos;s your only tool. For me, I really live in my body. It dictates my mood and how I feel. It&apos;s a big part of who I am. So, before I was cast, we were working out and chipping away at that goal. "Brutus is a warrior. He&apos;s a Spartan, a fighter. I wanted to bring more than they saw in the audition. I wanted a bigger, stronger, fiercer competitor." When I came back from Italy, Drew and I decided our approach would be to give "Catching Fire" more than they expected. I knew this was a special character. I knew the role was physical. Brutus is a warrior. He&apos;s a Spartan, a fighter. I wanted to bring more than they saw in the audition. I wanted a bigger, stronger, fiercer competitor. So, Drew changed my diet and workout program. I showed up on set to film 6-8 weeks later down to 10 percent body fat. I was in better shape than I thought was possible. What were the workouts like? We broke the workouts into primary and secondary days. Primary days focused on compound, heavy weights in the 6-8 rep range. We focused on the big muscle groups: chest, legs, and back. We pushed around a lot of weight. For secondary days, we incorporated a lot of supersets, dropsets, and failure sets. The reps were in the 15-20 range at about 85 percent of my max. We went almost to exhaustion. We kept my heart rate up, did jump rope and plyos. It was grueling. I hated Drew. I think that&apos;s a great sign of a trainer. You&apos;re not supposed to like your trainer. They&apos;re almost like a parent instead of a friend. It was tough. These days were usually aimed at working a big body part for hypertrophy. The back is the most important part of a complete physique, so I will use that for an example. After this, I was happy to call it a day! But I usually stuck around for some extra ab work. These days were focused on high-intensity intervals. Did you work out every day? We were going six days per week with one rest day. That rest day was the hardest; I was just itching to get back in the gym and kill it. My trainer told me to chill. Rest means recovery and growth, but it was just so hard! What was your nutrition like? It was about making smart food choices. I ate lots of protein and good fats and was smart about my carbs. Our intention was to grow, so I was in a surplus. We were working out to burn off those calories that I was taking in. I was supporting that higher level of performance with food. I had 4-5 meals per day, eating every 3-4 hours. The whole process was hard. I&apos;m Italian; I&apos;m a foodie. I love to eat. I love sweets. I love chocolate, especially chocolate eclairs. You know, I&apos;m an eater. But Drew taught me to cycle my carbohydrates in and out of my diet depending on my workouts. On primary days, I ate more carbs. Drew really taught me the science of nutrition. Now, a year later, I look completely different. Now, I&apos;m probably 15 pounds lighter and much leaner and defined. I don&apos;t have to carry that extra 10-15 pounds because I don&apos;t have the role for it. One of the great things about the training we did is that now I have the knowledge to put muscle on and take it off when I need to. "We were going six days per week with one rest day. That rest day was the hardest; I was just itching to get back in the gym and kill it." I used Dymatize protein powder, BCAAs, CLA, fish oil, a multivitamin, DHEA, and glutamine. Because I&apos;ve been so active all of my life, I kind of knew the supplement game. I knew what to take. If anything, my trainer recommended bigger doses. I would take more BCAAs than I usually did. And I drank lots of coffee—lots and lots of coffee. How did you manage your fitness while you were filming? I was up before the sun. I got my workout in at 4 a.m. because I had to be on set at 6 a.m. I made no excuses, but I listened to my body. If my body said, "Hey dude, you need to chill," I would take a rest day. I brought Drew with me and we trained every other week while we were shooting. I made the conscious decision to stay in that routine. I was in the hotel lobby doing lunges with 30-pound dumbbells in my hands at 4:30 in the morning. It was intense. 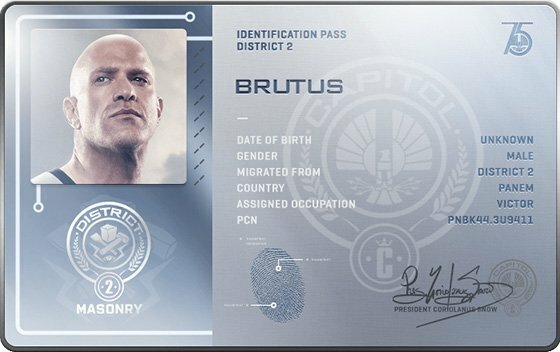 What would you tell someone who wanted to look like Brutus? I would tell that person that it all starts with nutrition. It just starts with nutrition and ends in the gym. You have to hit the weights. You have to push and pull heavy stuff. That&apos;s really it. Throw around heavy weight. You wouldn&apos;t believe how many people have reached out and to say that I motivated them to get in shape. They send me photos on Instagram with seven pieces of Tupperware filled with sweet potato, chicken, and green beans. I just think it&apos;s so awesome.